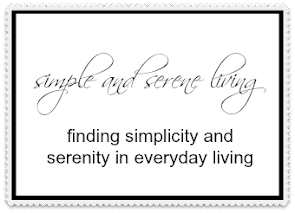 F Simple and Serene Living: how smart am I? Yesterday I left the world of 1999 and moved right on into 2012. Yes, my sweet friends I purchased this. It is the latest in smarty pants smartphones. So guess which one of us is smart. I've learned that it is definitely not me. Okay, I admit that I have never even sent a text, but I thought I could at least figure out the phone part of it. After accidentally calling my sister FIVE times in a row, I realized I have a lot to learn. The best part is I now don't have to remember to take my camera, which means I will be getting tons of great photos. Hmmmmm!!! Where is that dumb smart phone? P.S. I also had to run out to Walmart in my jammies last night to buy a new printer because mine bit the dust. SIGH! Both my "tech assistants" left for college and my Mister is not as patient as I wish he could be. I can identify! You'll love the phone once you get the hang of it. Have fun! You go girl! I am laughing so hard at NanaDiana's comment. There are some odd people at Wal-Mart sometimes! Good for you! I still have a dumb phone, but it works for me. I've tried to use my son's iPhone and felt like my fingers are too big! There's always so much to learn but you'll love it...I hope! Let us know! I don't talk on the phone much so I haven't been tempted..YET! Hugs! My hubby just ordered a smart phone! He's even agreed to cancel the land line. If we want to communicate with kids and grandkids, we need to be able to text. Oh so now we can look for you in People of Walmart videos? LOL. Laura.....snort. I have a ordinary smart phone, read, it's a year old android, and it's only in the last few months that I figured out how to get on the internet...don't laugh... All those young kids that tried to show me how has flashing thumbs, and fingers, I couldn't understand how they did it. Good morning, Laura. I hate to admit it, but I've been a pretty self absorbed blog sister, lately. I have had very little time to write blog posts and nearly none to visit my friends. I see the world has thrown you some curve balls lately, and I'm so sorry! (do you have a tv station, like we do that takes on legal misdeeds, to help their viewers? Just a thought.) I applaud your attitude and Atlanta is a vintage/antique Mecca! I would love to be in the area exploring. One day! Forgot to say that I like your Christmas header!! Laura! Love your new Christmas banner! I have had my smart phone for about six months and I still have so much to learn! I love it when I am a passenger on road trips! Love Nana's Wallyworld comments. I think PJ's are acceptable attire 24 - 7 at most locations!